California and Bay Area home sales declined in January on an annual basis by a respective 2.9 percent and 4.6 percent. The median sales price for an existing-single family home in the nine-county Bay Area was $809,900, a gain of 10.9 percent from January 2017. Home prices in Silicon Valley counties rose by about 25 percent year over year, among the highest rates of appreciation in California. Bay Area real estate markets began 2018 on a familiar note, with supply constraints pushing up home prices and forcing more buyers to inland counties. The latest home sales report from the California Association of Realtors says that there were 388,000 existing single-family homes statewide in January on a seasonally adjusted annualized basis, a decline of 2.9 percent from one year earlier. The sales volume decrease was particularly pronounced at the low end of the market, with sales of homes priced less than $300,000 dropping by 17.2 percent from January 2017. In the nine-county Bay Area, January home sales were down by 4.6 percent year over year. California’s monthly supply of inventory ended January at 3.6, down slightly on an annual basis but up from December, when the number of homes for sale reached a 14-year low. Bay Area supply conditions followed statewide trends, with the 2.3-month supply of inventory rising from December and dipping from January 2017. A slim supply of homes for sale propelled California’s median sales price to $527,800, a year-over-year gain of 7.3 percent. 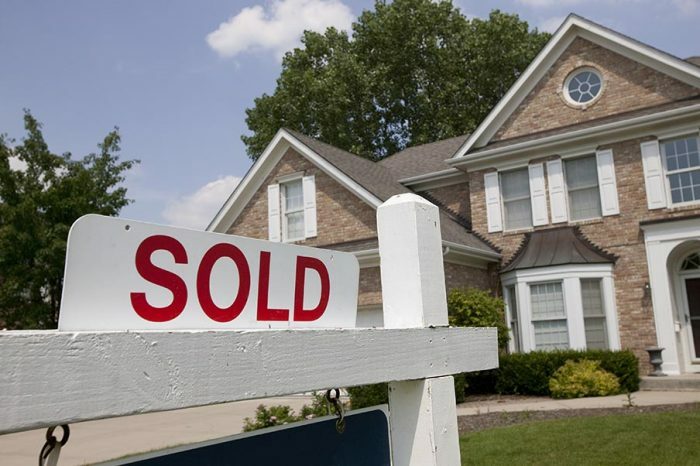 January marked the 11th consecutive month that the state’s median sales price was higher than $500,000. The median sales price in the nine-county Bay Area was $809,900 in January, up 10.9 percent on an annual basis. Eight local counties posted yearly increases, with only Napa County seeing prices relax by a mere $500 from last January. Elsewhere in the region, year-over-year gains ranged from 15.6 percent in Sonoma County to 2.8 percent in Contra Costa County. Five Bay Area counties were among the 19 in California to see double-digit percent year-over-year appreciation. Silicon Valley put up some of the largest price gains in the state from January 2017: 26.1 percent in Santa Clara County and 25.0 percent in San Mateo County. As in CAR’s December report, the latter was the state’s most expensive housing market, with a median sales price of $1,437,500. Homes in California and the Bay Area sold significantly quicker in January than they did one year earlier, a respective 27 days and 17 days. Santa Clara County was the state’s fastest-paced real estate market, with homes selling in an average of nine days, followed by San Mateo (12 days), Alameda (13 days), and Contra Costa (16 days) counties.